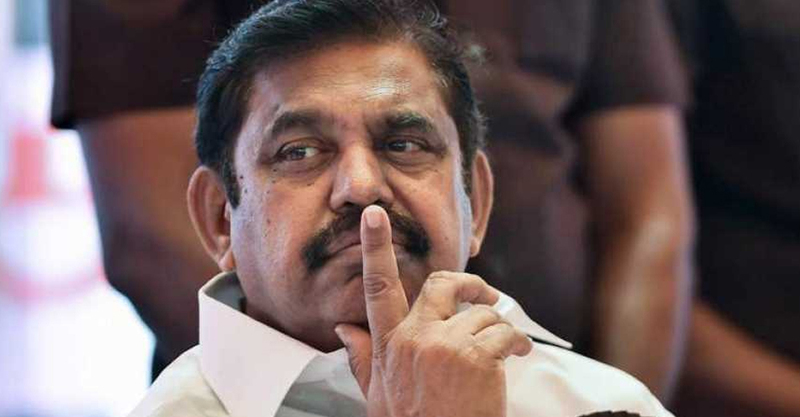 Nearly four months after the Dravida Munnetra Kazhagam, the main Opposition party in the state, made allegations of corruption against Tamil Nadu Chief Minister Edappadi Palaniswami, the Madras High Court has ordered a Central Bureau of Investigation (CBI) probe into the matter. On Friday, Justice Jagdish ordered the CBI investigation to be headed by an officer of the rank of Superintendent of Police. Stating that the probe being transferred to the CBI is in the interest of transparency, the court has called for a preliminary inquiry into the matter that be conducted within a period of three months. If a case is made out of the inquiry, the investigating team has been ordered to file for further proceedings. With Friday’s orders coming into immediate effect, two state government Ministers — the Chief Minister as well as Health Minister C Vijayabaskar — are now being probed by the CBI. In June this year, the DMK had written to the Directorate of Vigilance and Anti-Corruption (DVAC) alleging corruption in the allocation of five highways project contracts to various firms owned by relatives of Chief Minister Edappadi Palaniswami. The party alleged that the tender for the four-laning of the Tirunelveli-Sengottai-Kollam highway on SH 39 has been awarded Venkatachalapathy Constructions, reportedly owned by P Subramaniam, the father-in-law of Edappadi Palaniswami’s son Mithun. However, unhappy with the DVAC response, the party moved the Madras High Court in August slamming ‘the lackadaisical approach’ in conducting an investigation. The main persons mentioned in the party’s complaint are Chandrakanth Ramalingam (related to Palaniswami through his daughter-in-law), P Subramaniam (EPS’ son’s father-in-law), and Nagarajan Seyyadurai (an alleged benami). The DMK claimed that they were the beneficiaries of overvalued World Bank-assisted government projects, thanks to their proximity to the Chief Minister. In the case against the Chief Minister, the DMK listed out various irregularities in awarding highways projects including the four laning of the Oddanchatram- Dharapuram- Avinashipalayam state highway, the four laning of the Tirunelveli-Sengottai-Kollam state highway, the four laning of Madurai Ring Road, six laning of the Vandalur-Walajabad road, and the maintenance of all State Highways in Ramanathapuram, Thiruvallur, Krishnagiri and Virudhunagar districts.